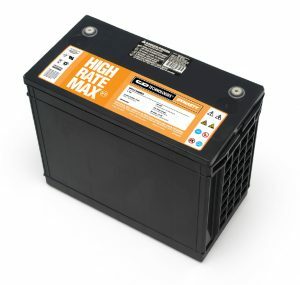 C&D High Rate Max UPS12-350MR is a Valve Regulated Lead Acid Battery for UPS Standby Power Applications and a Premium Replacement for UPS12-310FR and MR12-35. Absorbent Glass Mat (AGM) technology for gas recombination of up to 99%. Patented UL Recognized Flame-arresting vents in each cell for safety and long life. Designed with the same recombination, thermal runaway prevention, gassing and flame retardant characteristics of the Bellcore 4228 compliant Dynasty Telecom products. Flame Retardant polypropylene case and cover compliant with UL94-V2. Not restricted for most surface, air or water transport.